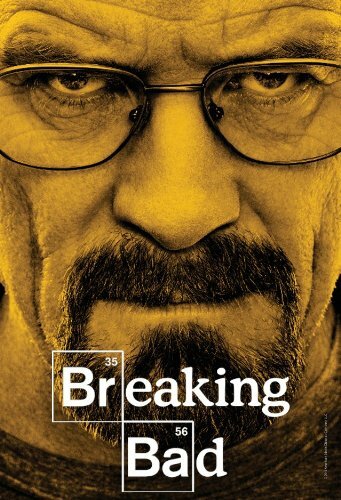 Quick Take: Breaking Bad, "Madrigal"
(S0502) It’s become clichéd now, but early in the series run, Breaking Bad creator Vince Gilligan explained the goal of the Walter White arc is to take him from Mr. Chips to Scarface. But could we already have hit that “high” mark? When watching that final scene of Walt kissing Skyler’s neck and back and explaining how all feelings of fear and doubt will pass and that any action is justified as long as it’s for a greater good like family, I couldn’t help but wonder if Walt had any redeeming qualities left. That scene made me feel so utterly uncomfortable that I don’t know how anyone can look at Walter White the same way. He’s the villain of the series now. Plain and simple. But then who’s the hero? In “Madrigal,” Mike more or less fits the bill. Jonathan Banks is the unsung hero of the cast and nobody, I mean nobody, can play exasperated like he can. And, kids, he was pretty exasperated in this episode. Walt and Jesse come to Mike with a proposal to run the business side of their soon-to-be-established new drug game. Mike initially refuses, but a variety of circumstances arise that put him in a position where he has little other choice but to team up. First, Hank starts investigating him and thanks to Magnet-Gate, evidence of $2 million in an off-shore bank account listed under Mike’s granddaughter’s name is found. So now Mike is broke. But other accounts are found as well and 11 other men in Gus’ inner circle are being brought in for their own line of questioning. One of Gus’ associates who presumably is not on the list is Lydia, a new character introduced in an effectively grating fashion at Mike’s favorite diner. She is concerned one of the 11 men will roll over and wants Mike to eliminate them one by one. Mike has confidence his men will hold up to intense testimony because he vetted him themselves. But of course money is the great influencer and Lydia is able to convince a younger hired gun to try and wack everyone on the list, as well as Mike. Mike gets the upper hand because that’s what Mike does (our old friend Chow from the season three finale isn’t so lucky because getting shot is what Chow does) and kills his would-be assassin. And while he momentarily considers killing Lydia for betraying him, he decides he can use her as well. She can get methylene, the one precursor element not readily available for Walt and Jesse’s operation. So Mike’s begrudgingly back in to run the business. Here’s my question: is Mike capable? It’s not to say he isn’t meticulous enough or doesn’t have the right connections or anything like that. But Mike is muscle. He’s a consigliere at most. Is he really boss material? You can argue that in this new operation, Walt would be the real final decision maker, but Mike’s going to be the face of this thing. I love Mike. But I just don’t know if he’s got what it takes. (Also, the amount of speculation I just threw out there for how this operation might work is exceedingly wild and deserves any mockery you might want to throw at it). Our other potential hero of the series could very well be Hank, who is going H.A.M. on the investigative side of things. Said investigation leads to Germany where Herr Schuler, an executive at Madrigal Electromotive, kills himself with a defibrillator following increased police pressure into the international dealings of Gus Fring. The suicide also followed a delicious meal of chicken fingers with a side of Franch. Higher-up Madrigal executives pledge their full cooperation, though I’m sure Schuler won’t be the only hole in das boot. How this will all relate back to Walt remains to be seen, but I’m sure he’ll have an appropriately evil response. Because if Walt is in full Scarface mode, the next question is this: just how much lower can he go? Magnet-Gate -- instant classic, Mike ! Great question about how effective Mike would / will be at the top of a criminal organization. Obviously he is experienced in managing muscle and highly effective as a Mr. Wolf-like fixer himself. And a piece of this too will be to see how he deals with working with Walt as an equal. The promo for the next episode seems to indicate that this is going to be a cause for drama pretty quickly. I can't wait ! So much for P.C. We have enough Germans here to invade Poland.